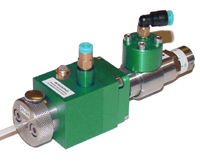 Automatic Sealing Connectors from TQC Ltd.
TQC can supply a standard range of automatic sealing connectors that can be used in a number of application including leak and pressure testing of parts. 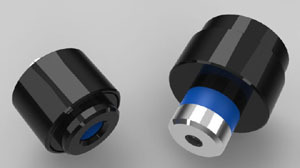 There are both internal bore and external bore variant available to connectors to internal bores from 10mm upto 75mm and from 3mm upto 71mm outer bore diameter sizes. Datasheets on these standard connectros are availble via the link above. 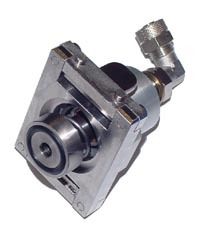 These automatic connectors are single acting and use a single actuation port, once actuated a piston act on a seal then expands the seal on the component. Connectors are supplied with a central test port which can be blanked off as necessary. Test pressures exceed the valid standard connector values, TQC can supply connectro with gripping mechanism that secure the connector to the test part. If you have a current project that requires sealing connectors, or you are considering new assembly or test equipment, call us and we will be happy to offer our professional advice & visit you at your site.